Filled with charm and plenty of friendly locals, small towns are synonymous with life in America. 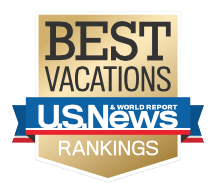 To help you decide which towns are worthy of a vacation, U.S. News narrowed it down to places with a population of fewer than 100,000 that offer plenty of restaurants and attractions, plus have a unique character all their own. So ditch the big city crowds and start planning your small-town getaway. Why go to Sonoma: At the heart of one of the America&apos;s best winemaking regions, this Northern California town boasts all the charms of a rustic yet refined locale without the crowds and high price tags of its larger neighbor, Napa. Before heading to the wineries, spend the day exploring the shops and restaurants along the 8-acre Sonoma Plaza. Sonoma, a county in Northern California known for its bucolic charms and array of wineries, could also be described as Napa&apos;s rustic, less-refined and more-relaxed sister. Its rolling hills, which rise into the Sonoma Mountains and descend to the Pacific shore, also contain a cache of small cities that are worth a visit: Try Santa Rosa for an urban escape, complete with museums and buzzy restaurants, but pop by Glen Ellen for a slice of small-town Americana. 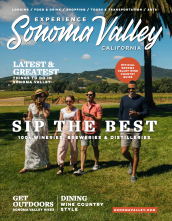 In short, if you want a laid-back introduction to stellar vintages and gorgeous properties, Sonoma – rather than Napa – should be your California wine country destination.